Want to get rid of nuisance cats in your area? Use our nationwide directory of wildlife control operators to locate a professional trapper near you. Feral cats can survive in desert climates, in regions near Antarctica, and everywhere in between. They live in both cities and rural areas. Like other wild animals, they seek food and shelter wherever they can find it. 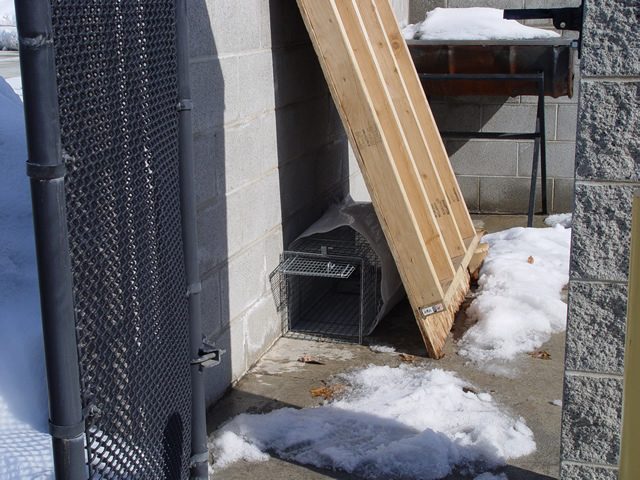 Catching feral cats in traps and removing them is the most effective method of control, but eliminating their food and shelter will help in getting rid of them, too. Killing them by poisoning, shooting, or inhumane trapping is illegal in most places. Feral cats are simply creatures that were once domestic pets but have turned wild, or are the offspring of such. When pet cats become lost or are abandoned by their owners, they revert to this wild state in order to survive. 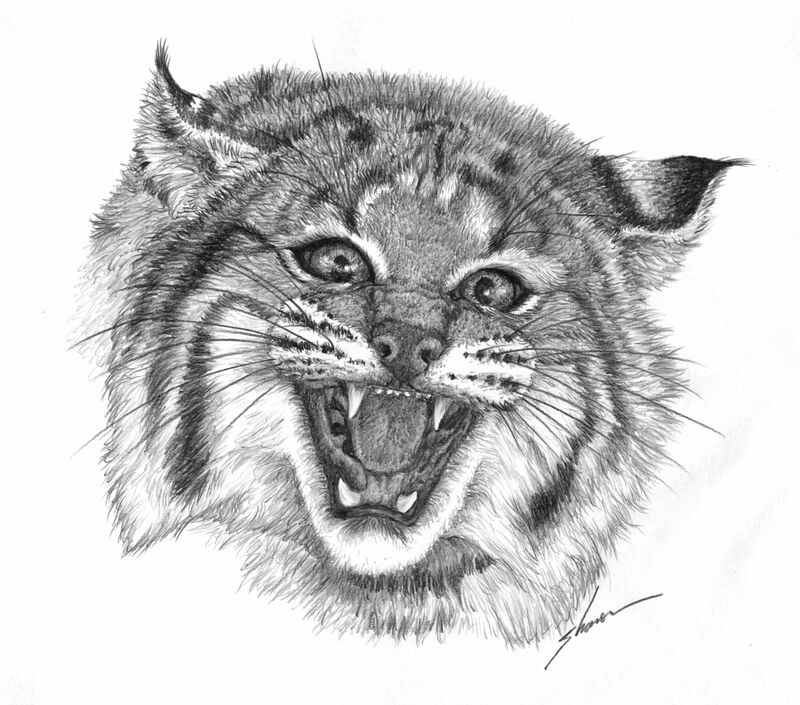 Some experts estimate that there are 100 million feral cats in the United States. Near people. While they generally do not like to be near enough to people to be touched or petted, they will come in droves to any person who offers them food. Near small animal populations. Areas with large populations of small rodents such as squirrels and chipmunks are attractive. Songbirds, game birds, and poultry also present good food sources. Dumpsters. Garbage cans and dumpsters attract them because they present an easy and reliable food source. Not only garbage, but also rodents that come for the garbage. Woods and parks. If the woods and parks are full of squirrels, chipmunks, and birds, then feral cats can survive there. Junkyards, sheds, barns, porches, crawlspaces. These animals are not picky; if a shelter offers protection and an adequate food supply, they will take it. Here at Allstate we do a lot of feral cat control projects, and almost always kittens are involved. It seems that the human / animal conflict escalates when a female prepares to birth a litter. This is because she tries to set up house for her kittens, finding a place that is warm, dry, and safe. Such places are often found in areas near people, such as beneath porches or in barns or garages. When a wild mother cat makes her den near people there are bound to be issues with noise, domestic pets, and property damage. What problems do feral cats cause? Noise. Their frequent fighting and yowling is quite disruptive. Conflict with pets. They will steal pet food and may even threaten or harm a beloved pet. Spraying. Males will mark their territory with a musky, sticky substance that they secrete and spray. Health risks. A sick or injured feral cat will probably never receive medical treatment. They can carry rabies, ringworm, toxoplasmosis, feline distemper, and a host of other illnesses and bacterial infections that are transmittable to humans. Kittens. Wild populations continue to grow because they are, for the most part, not spayed or neutered. Kittens are cute, but they grow up to be just as wild as their mothers. Roaming the neighborhood. They get around, and their constant presence can be annoying, not to mention dangerous. Especially when children and pets are present, the roaming can be a big worry. Threaten birds and fish. They can decimate a local songbird or game bird population, which is a real loss to the people who feed and enjoy them. They can also wipe out backyard pond fish. Digging. They dig and leave messes in yards and gardens. Scratching. Not only is there the danger of a person being scratched, but also property. They can scratch up fabric items such as lawn furniture, tents, laundry, etc. Allstate Feral Cat Control: 1-888-488-7720. A feral cat will defend itself if it feels it must, and will claw, bite, and hiss. Some will flee from humans, but others are just ornery and will attempt to stand their ground. If they feel scared or threatened, they will do anything to escape. 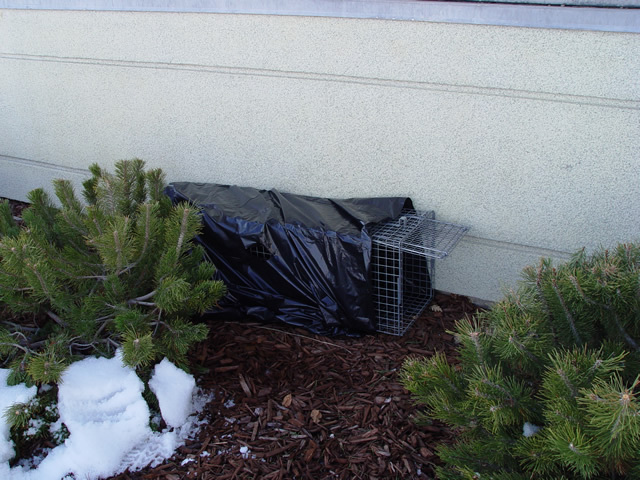 Our wildlife control technicians use feral cat traps to capture wild cats and remove them permanently. We also remove dead animals from all kinds of hard to reach locations, and can remove a dead cat from a crawlspace, attic, or wherever it may be. After we remove animals (alive or dead) we can sanitize and deodorize the area, protecting your property from many of the smells and diseases associated with stray or wild animals. We also offer repair and exclusion services, which are a highly effective means of sealing off access points to a property and prevent future infestation problems. You may send us 5 to 10 digital pictures of your feral cat problem and we will give you a FREE cost estimate over the phone. Prices will vary depending on the severity of the problem and on the time spent on the job. Wild animals can be unpredictable; every job is unique and our solution will be custom fit to your situation. Check with your insurance for coverage. 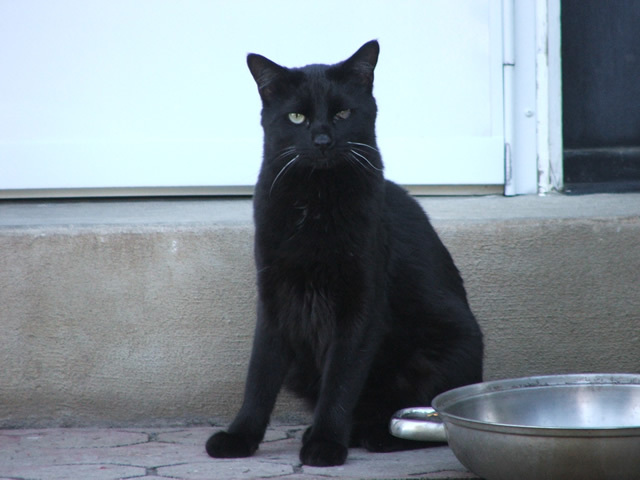 Read more about this pest animal at our Feral Cat FAQ. People want to get rid of feral cats because they destroy local bird populations and can be aggressive toward household pets. 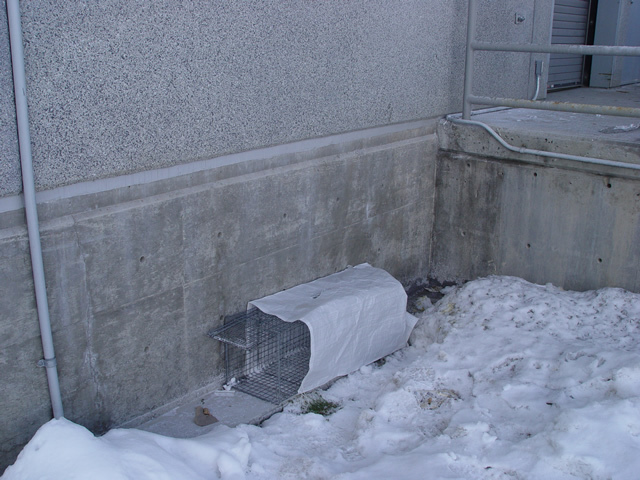 Feral cat traps must be set in such a way as to reduce the risk of catching non-target animals. We offer feral cat control for homes, businesses, and outdoor areas such as parks. Wild animals can die anywhere, and a dead cat under your house will be worse than a live on ever was. We can remove them, alive or dead.